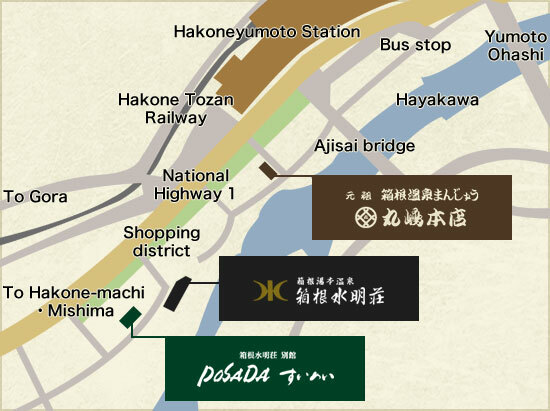 This page is the description of Access of Hakone Suimeisou. It takes about 85 minutes from Shinjuku to Hakone-yumoto and 1 hour from Tokyo. For guest traveling in Hakone alone. Manjyu is a bun stuffed with strained sweet red beans.